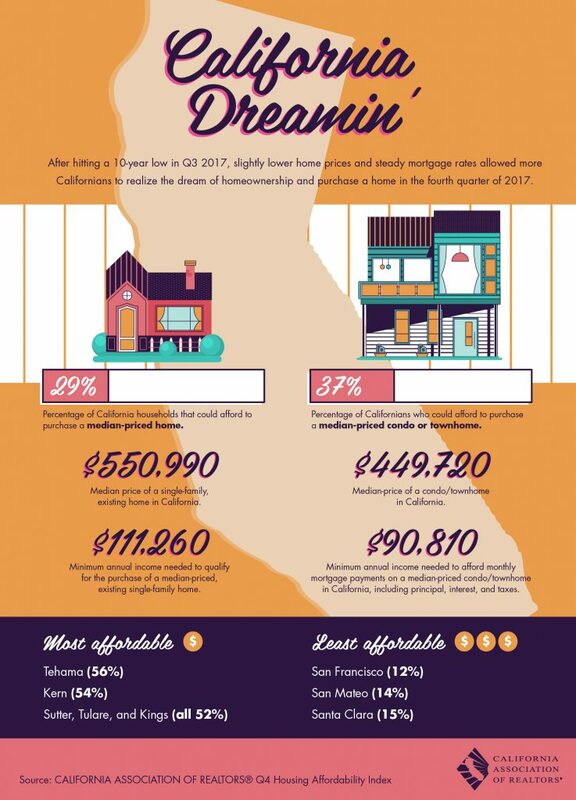 After hitting a 10-year low in Q3 2017, slightly lower home prices and steady mortgage rates allowed more Californians to realize the dream of homeownership and purchase a home in the fourth quarter of 2017. 29% of California households could afford to purchase a median-priced single family home at $550,990. 37% of Californians could afford to purchase a median-priced condo or townhome at $449,720.